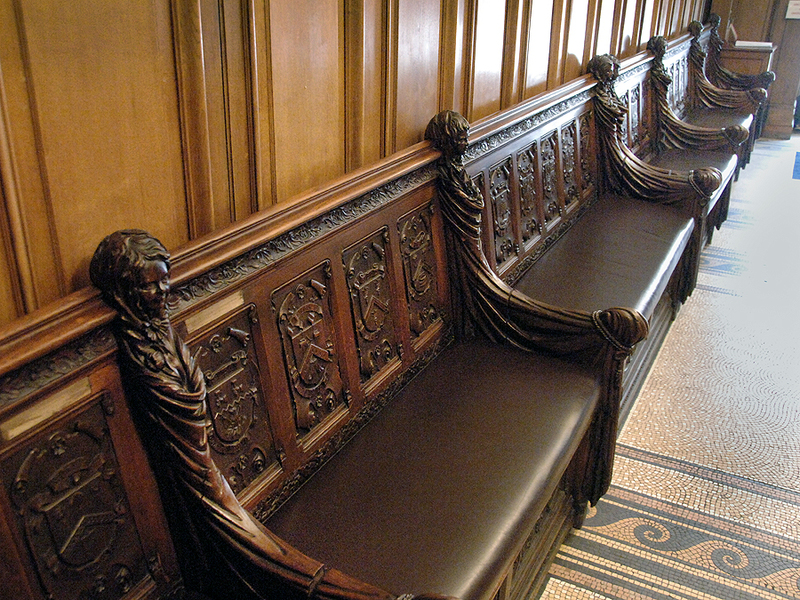 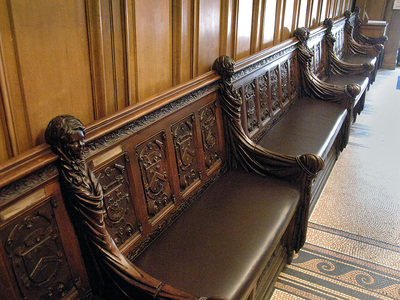 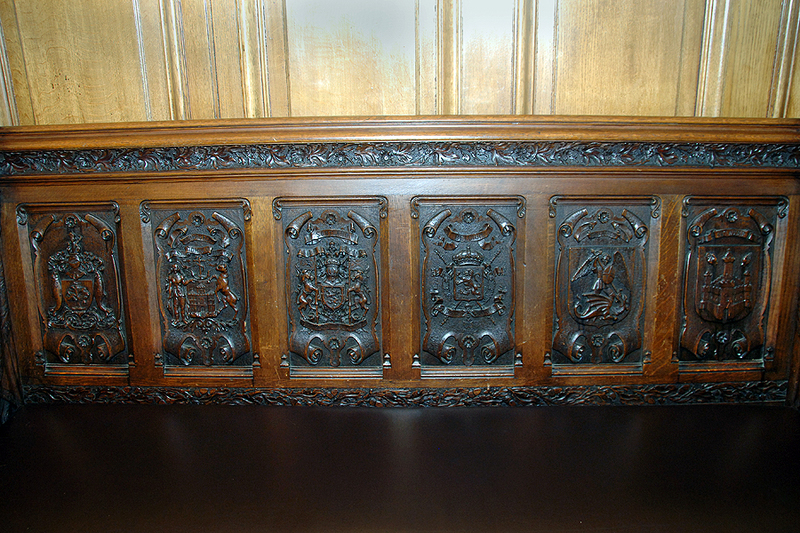 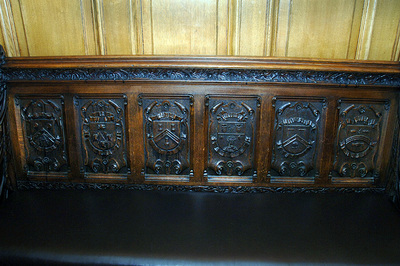 The first series of images of the oak benches below show the benches in sections from the entrance to the building. 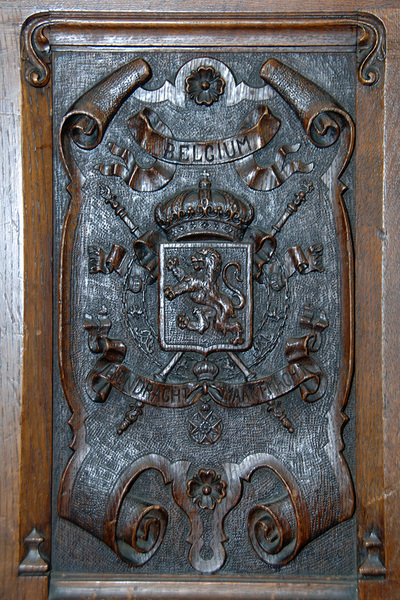 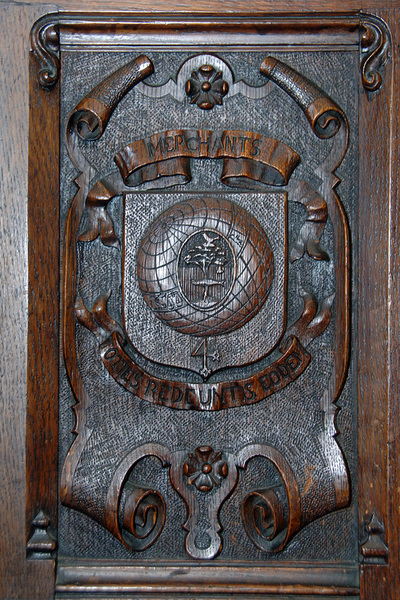 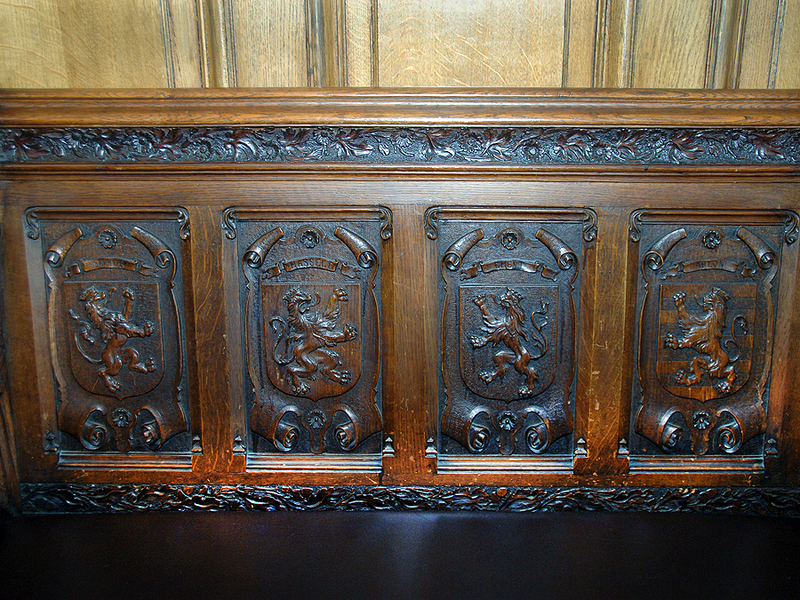 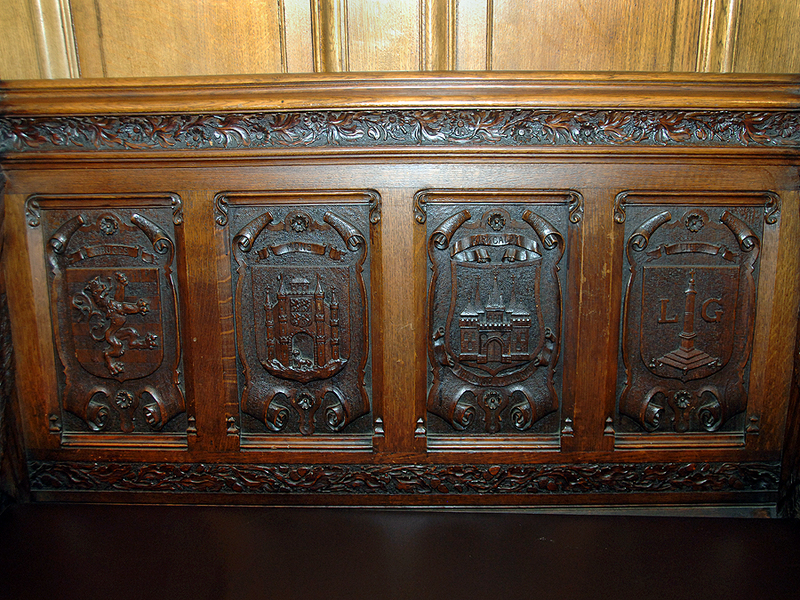 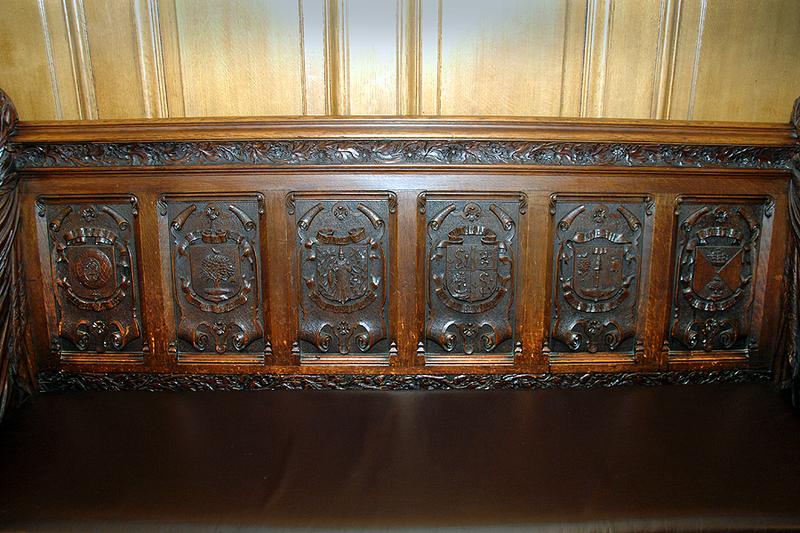 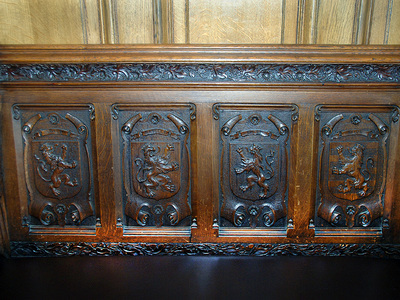 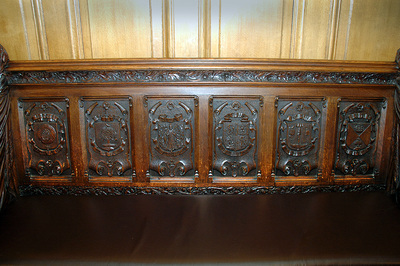 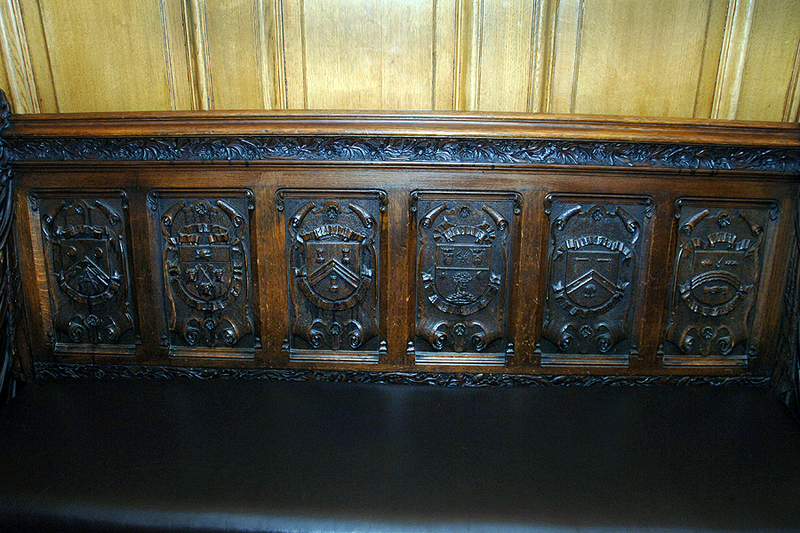 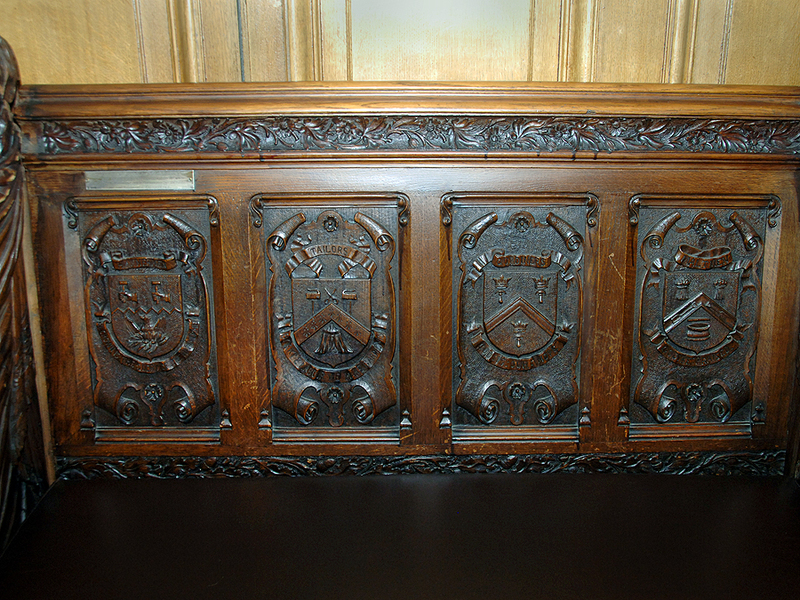 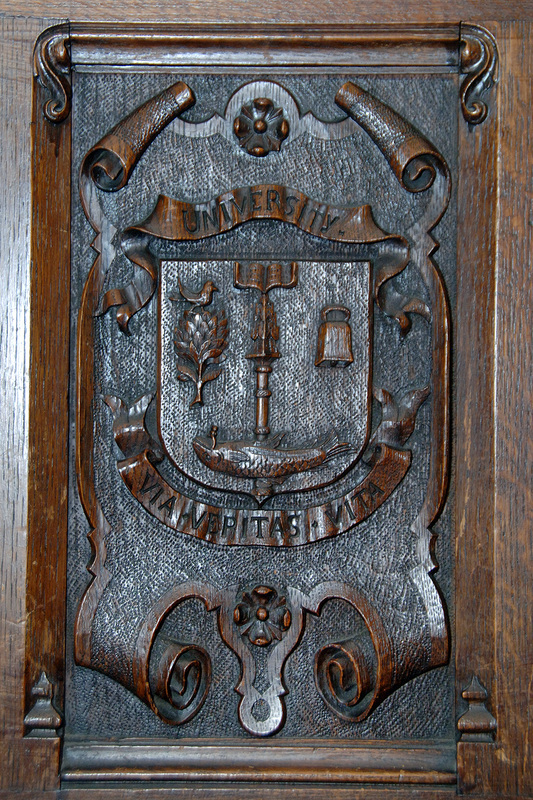 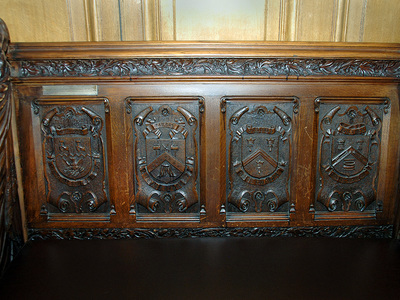 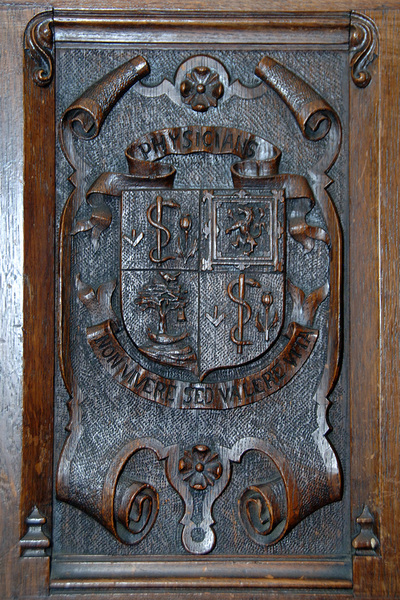 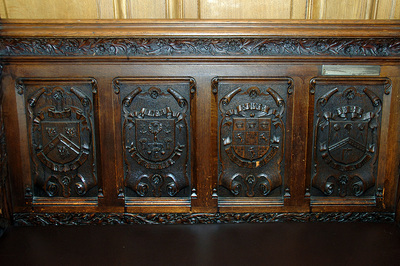 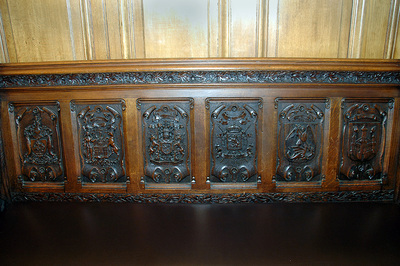 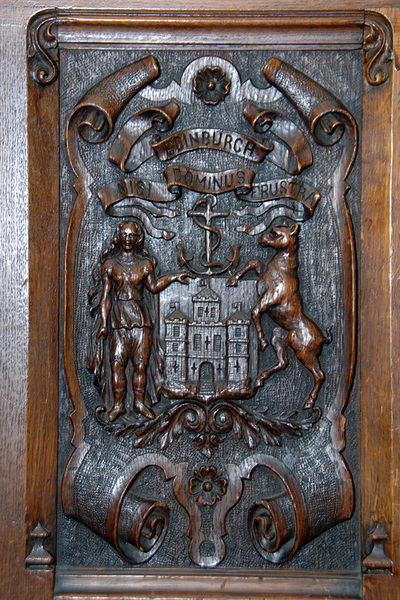 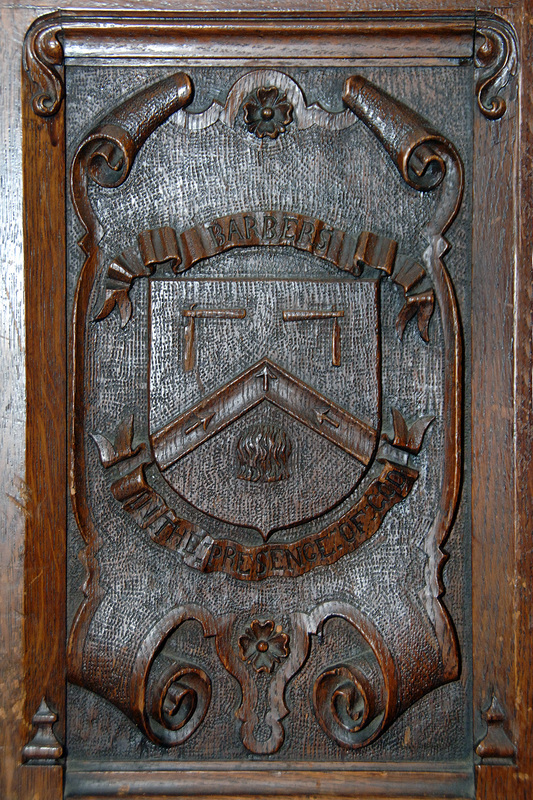 The second series of images shows the crests in detail. 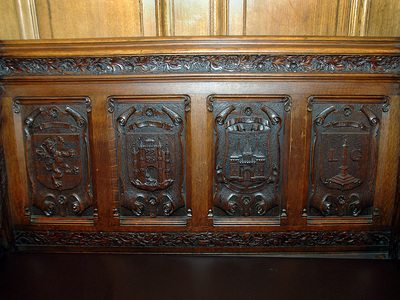 To enlarge the images, please click on them and use the right and left arrows to navigate forward and backwards. 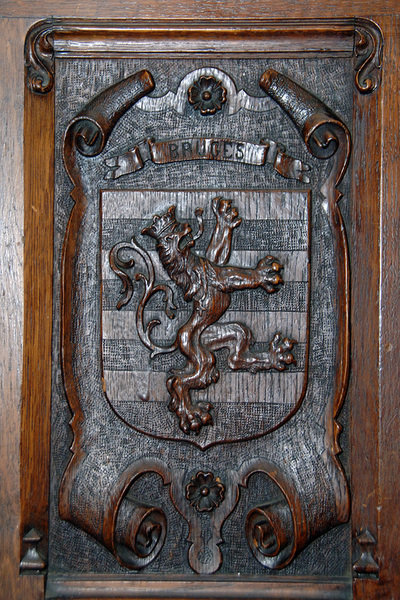 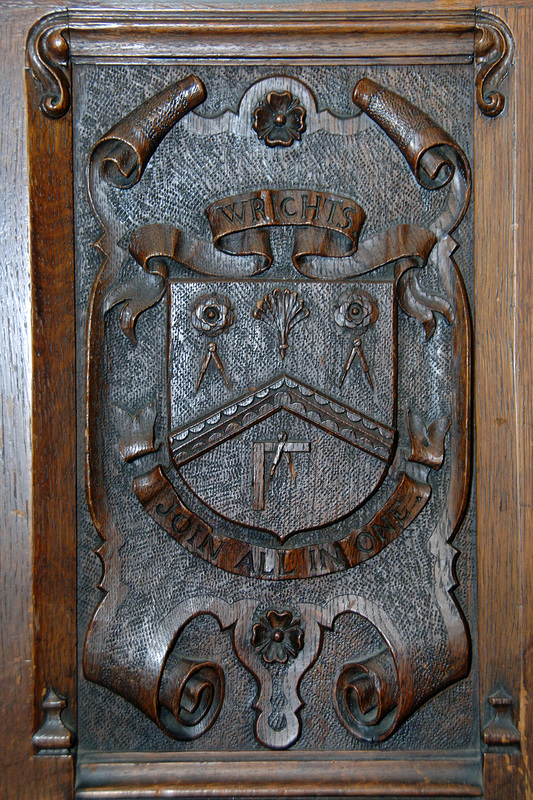 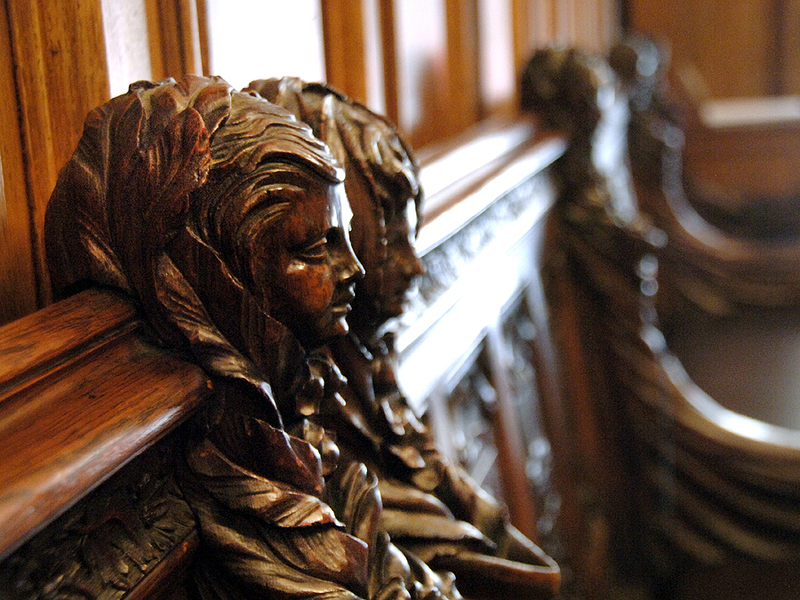 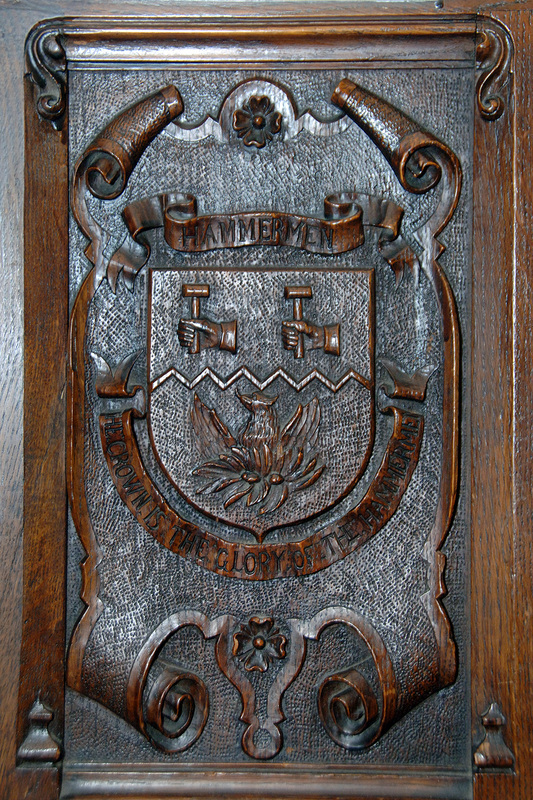 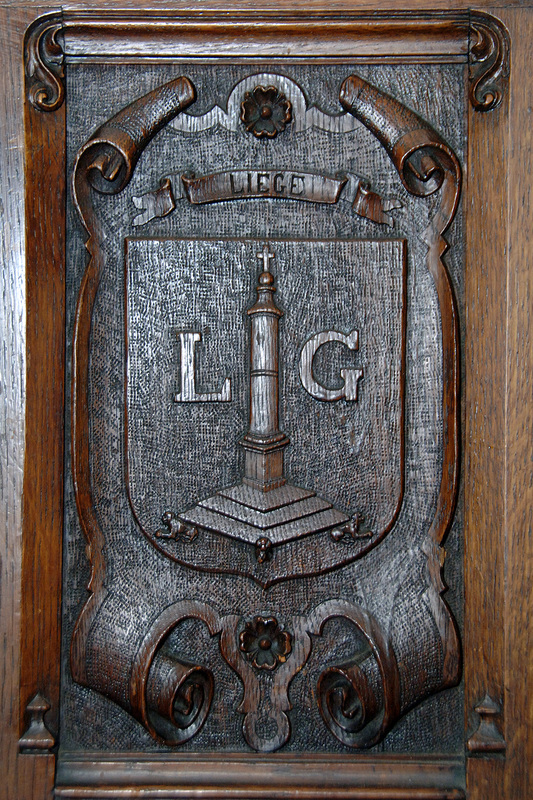 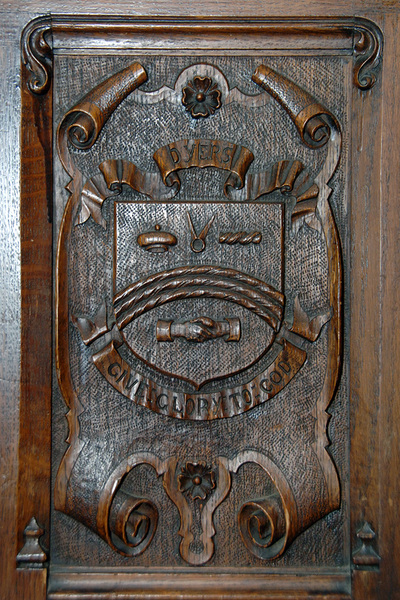 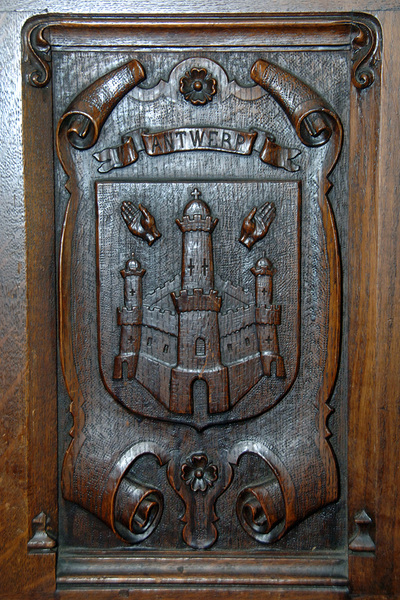 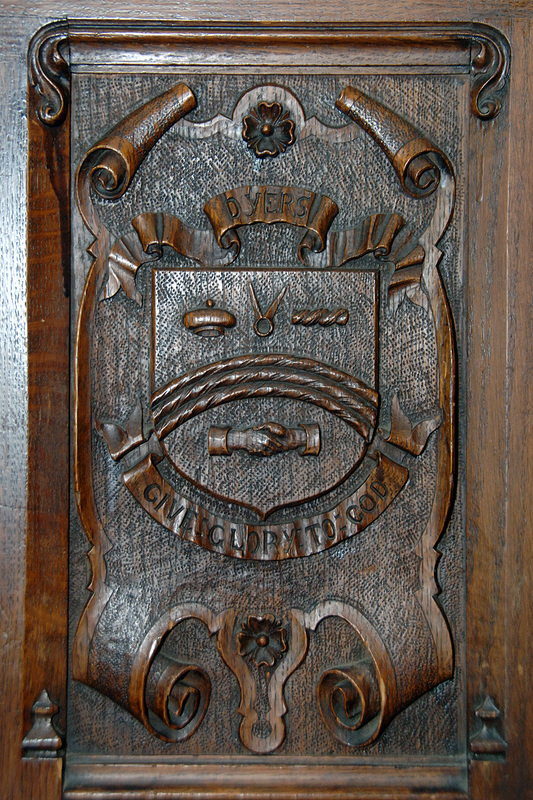 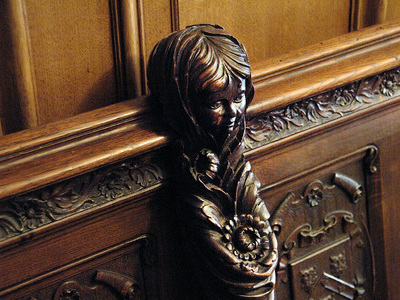 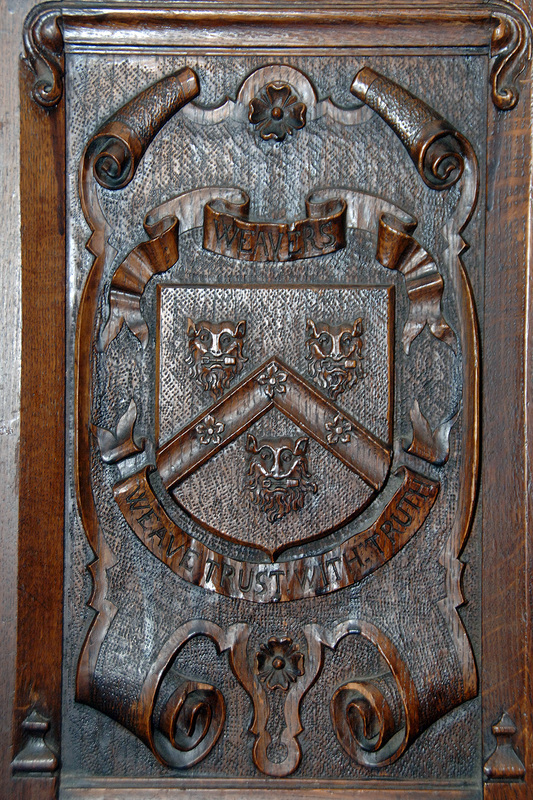 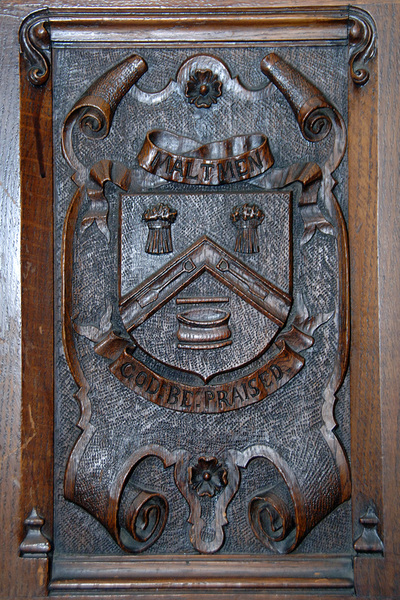 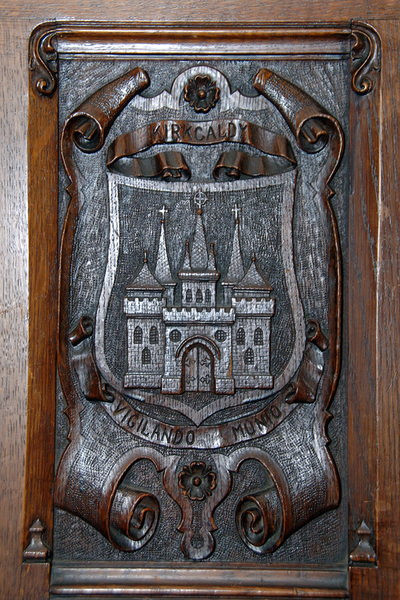 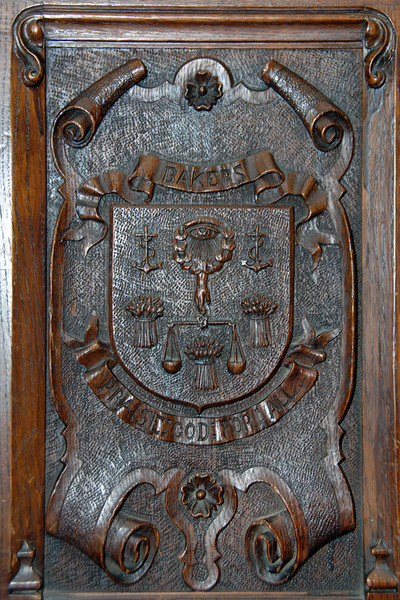 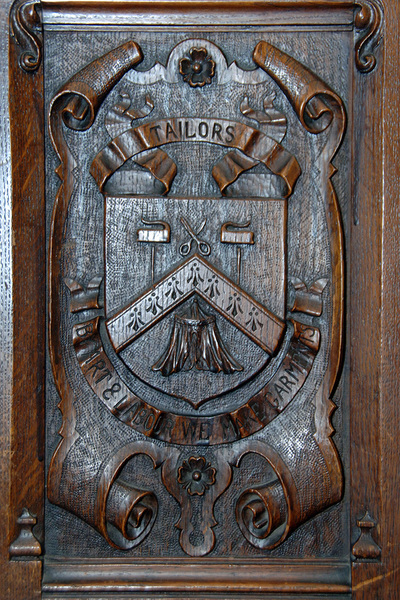 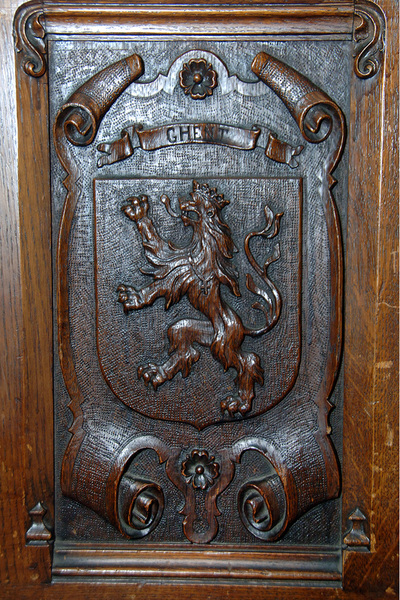 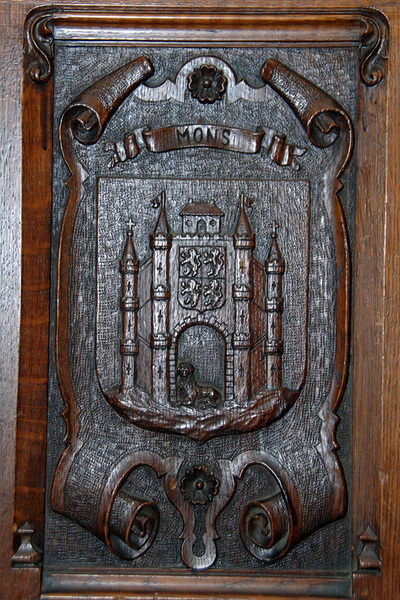 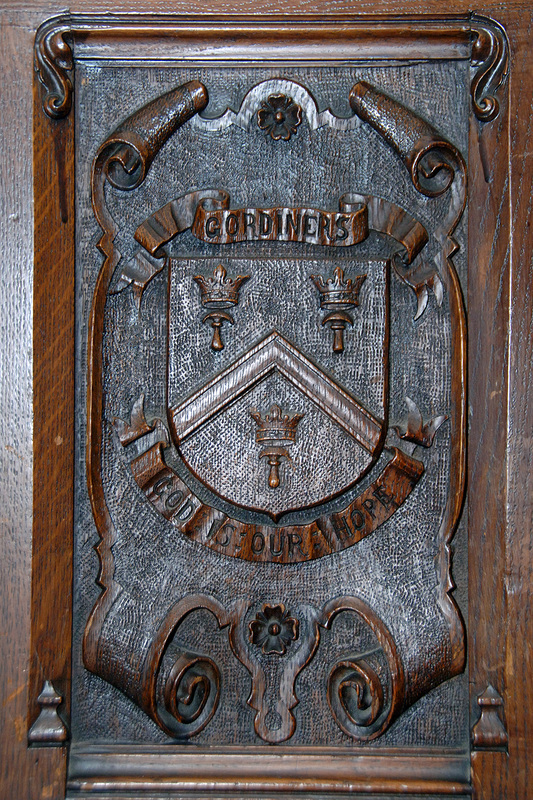 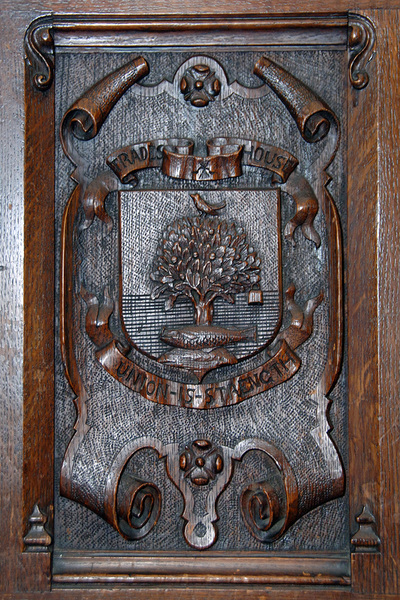 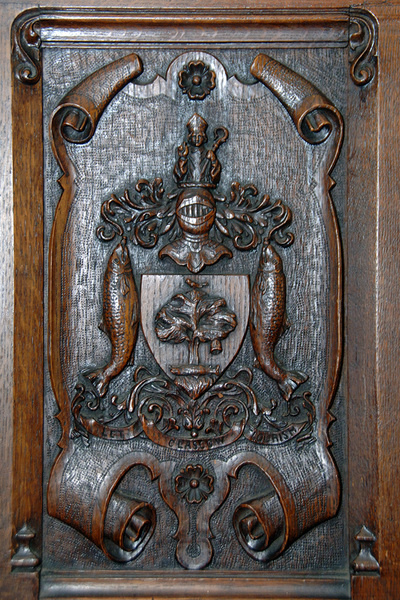 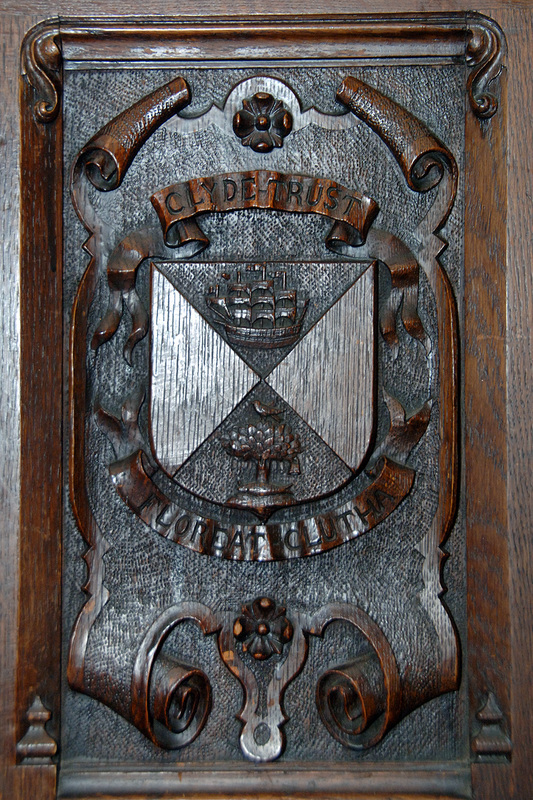 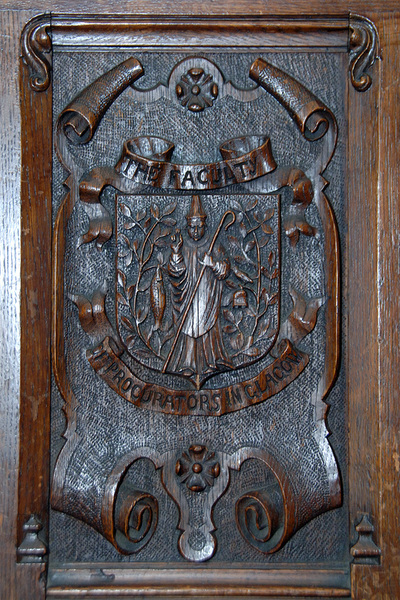 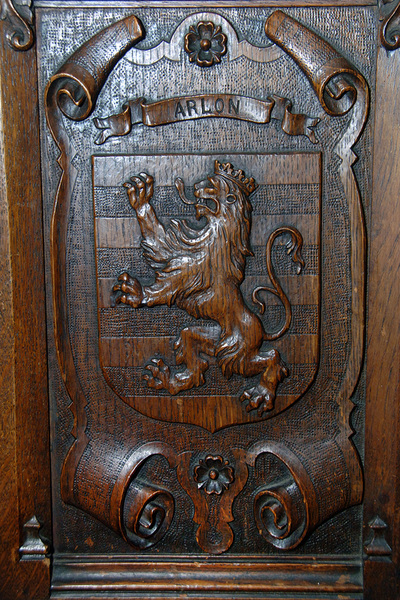 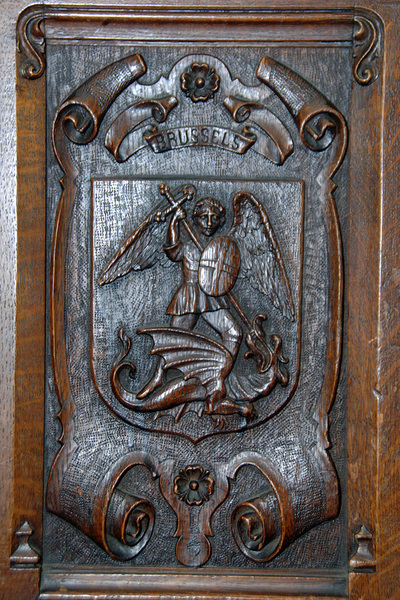 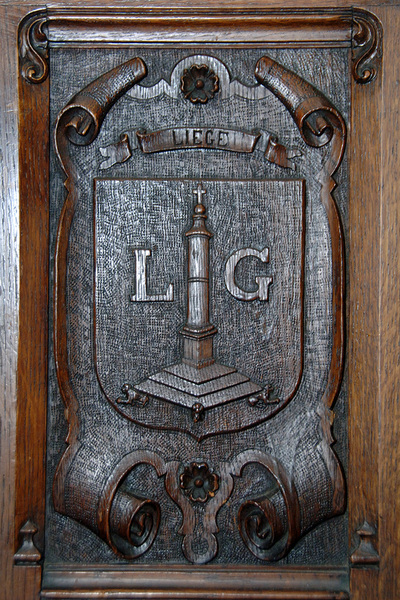 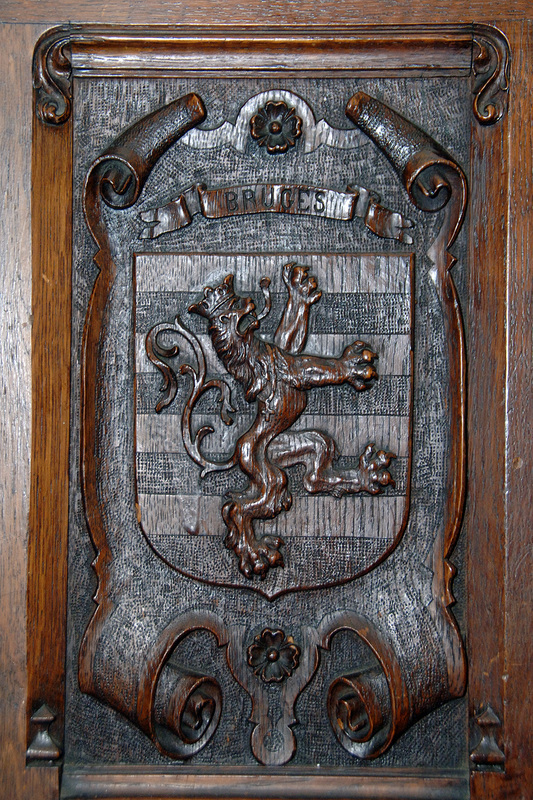 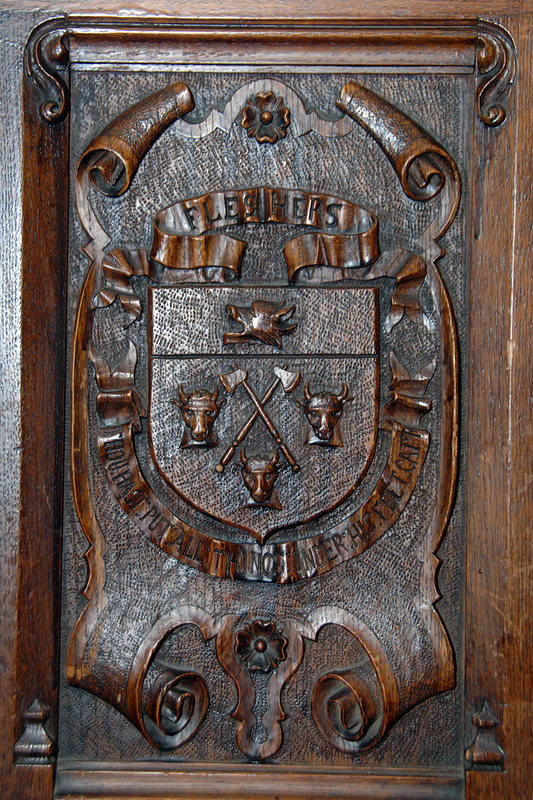 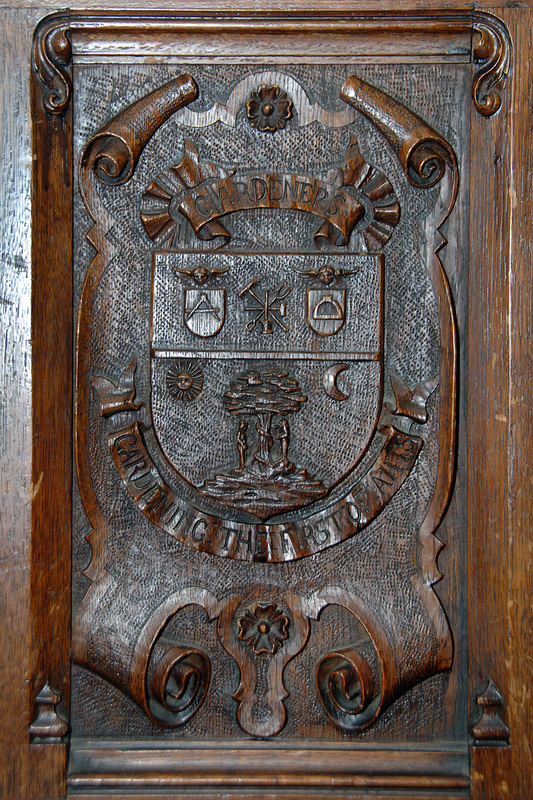 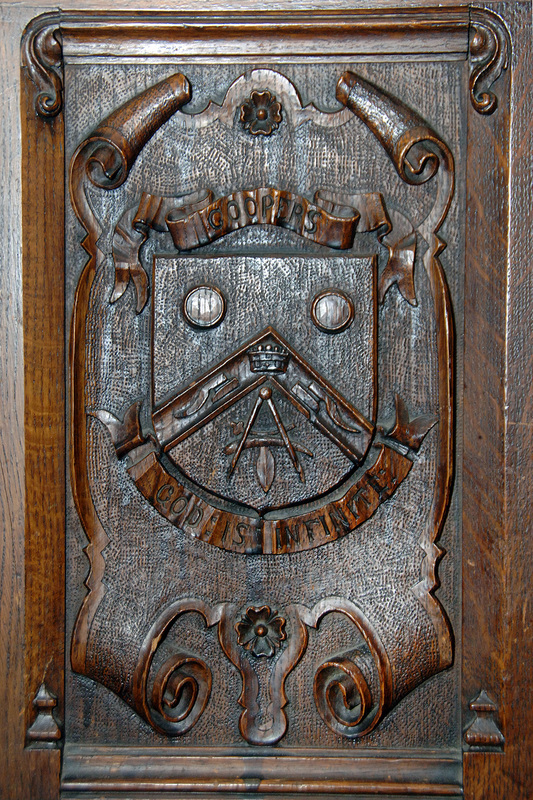 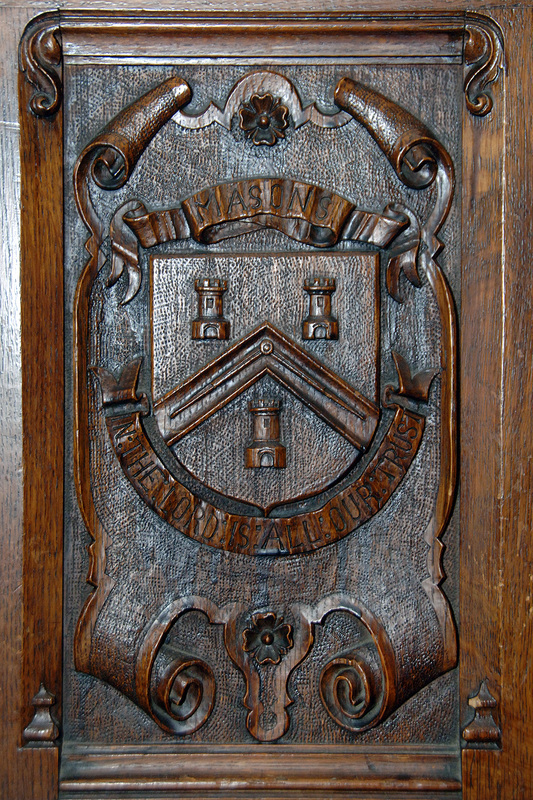 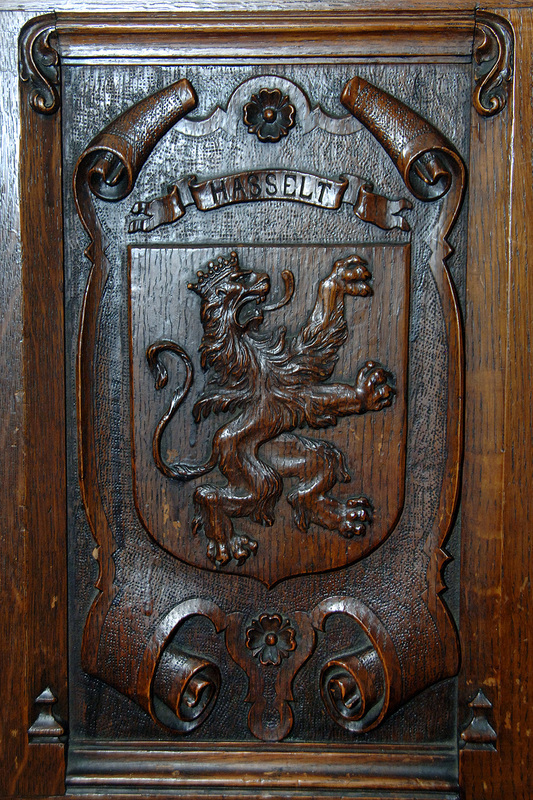 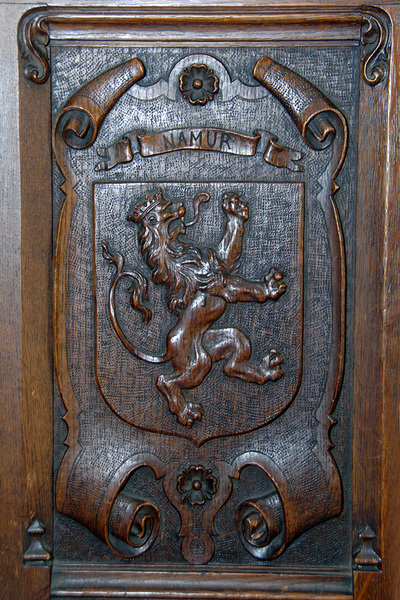 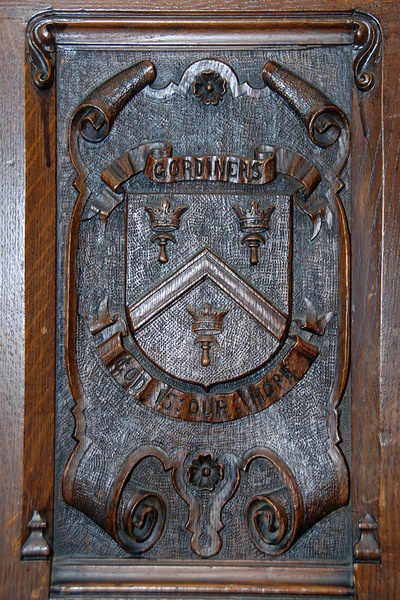 The images of the crests are from the entrance door towards the stairs. 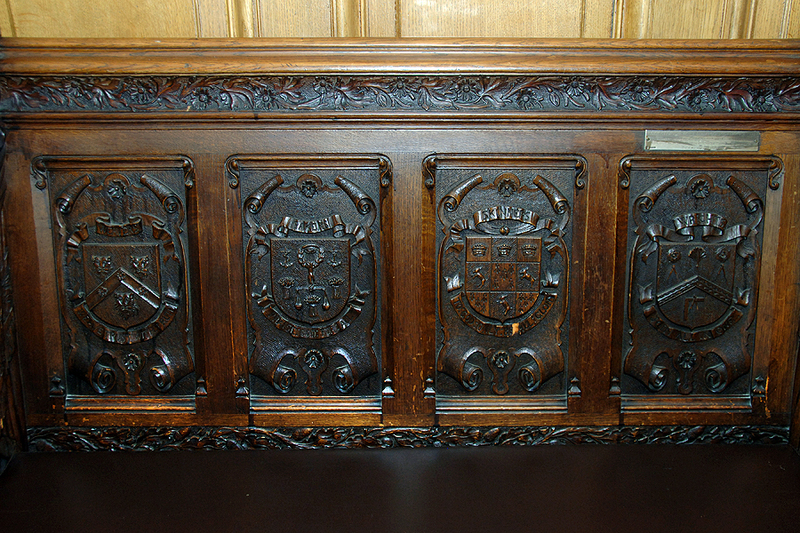 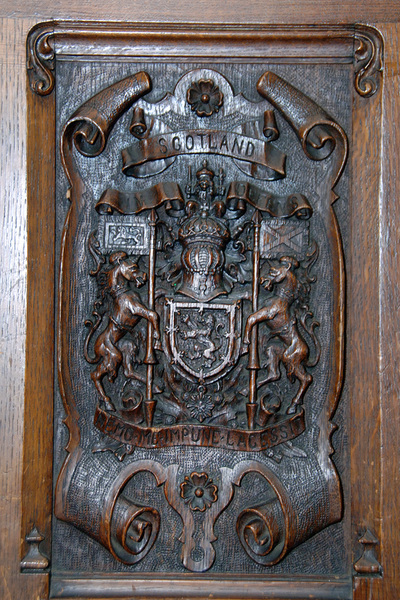 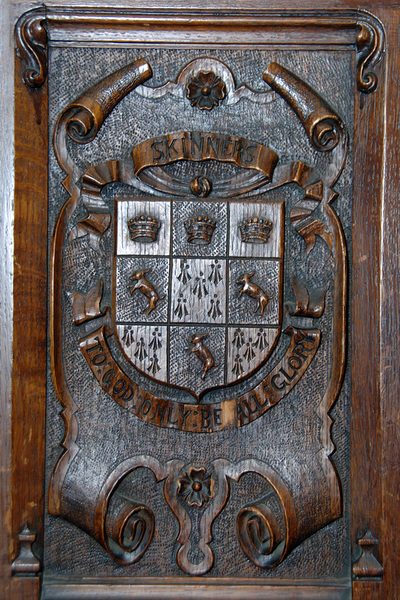 The Crests below are not all the same as used today as some had not been registered with The Lord Lyon before 1923. The present arms of the Incorporations can be found by clicking here.